It was only a few weeks ago where I swore that I would never read this book again. This was born out of a fear of finding too many things that might need to be changed. Revising is one of my favourite things about work. I long viewed Planned UnParenthood as being finished completely. It has been nearly three years after the first publication, why would I change it? The content is still relevant today and will remain relevant years from now. So, the other night I sat down and read it straight through. With the script open on my screen I made a small number of changes. I cleared up some of the wording, found one typo that was missed in the final edit and added a new afterword to reflect my reasons for releasing a new edition. Last August, I had the privilege of winning International Childfree Man of The Year 2014. Part of my reason for winning the honour was because of this book. It remains to my knowledge the first book written about not having children from a male perspective. For this year’s award I will be part of the judging panel along with International Childfree Woman of The Year 2014 Magenta Baribeau, and others. I do want to emphasize that it is equally important to promote matters for people who cannot have children by choice. In my book I mention those who are considered “childless”, adoption as a positive option while touching lightly on the still delicate (to many) pro-choice topic. Incidentally, the nomination process for International Childfree Woman and Man of the year will open on June 15, 2015. If you know of anyone who should be nominated, head over to the International Childfree Day Website for information on the nomination process and to read about the rest of the panel. To those of you who own copies of my book. The content overall has not changed the direction of the book. As I explain in the new Afterword, it really was about seeing my own growth as a more experienced writer. Revising this book was about making the final product a better read. I was really happy with the first one and am extra happy with the new version. It is a reminder to me as a writer that even a few small revisions can make something great even better. For more information, I highly recommend Nina Steele’s http://www.nonparents.com where I have contributed some content. The site highly encourages readers to submit stories and engage in discussion. If you or someone you know speaks french, please check out Catherine-Emmanuelle Delisle’s Femmes Sans Enfant at http://femmesansenfant.com You can have google translate the page into English for you and you can get some great reading even from the translation. 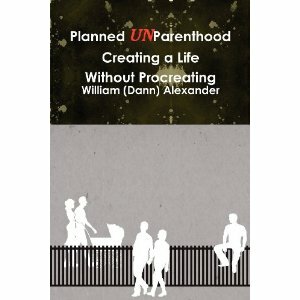 Planned UnParenthood is available through Amazon and other online book retailers worldwide. Posted in Notes from the Frogpond.Tagged Amazon, books, childfree, Femmes Sans Enfant, International Childfree Day, Magenta Baribeau, Non-Parents, Planned UnParenthood, Planned UnParenthood Creating a Life Without Procreating, revising, WriterDann, writing.